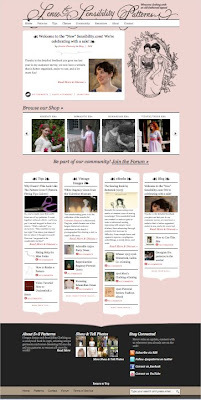 joyfulmomofmany: The new Sense and Sensibility site! Ladies.... I wanted to take a minute away from my pre-trip cooking, sewing and other preparations to be sure to let you know that one of Hannah and I's absolute favorite sewing pattern web sites, Sense and Sensibility patterns has a totally new look! Hannah and I have sewn a number of Jennie Chancey's patterns. They are absolutely beautiful and come with many many detailed instructions, diagrams and loads of optional variations. 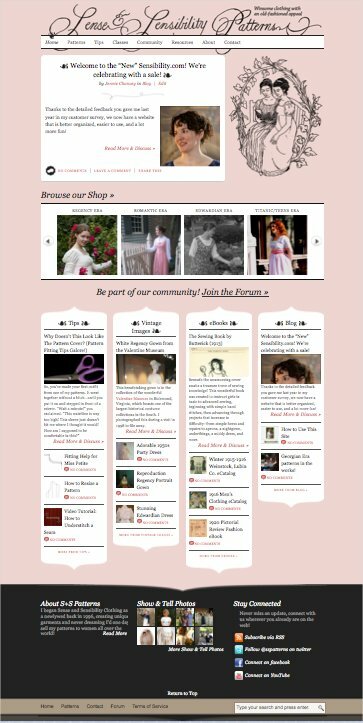 In addition, on her web site there are tutorials, message boards and inspirational photos of finished sewing projects too! Take a look around Sense and Sensibility Patterns and be inspired! Dear Susan ~ Thanks for sharing! What a lovely thing...to sew! I grew up sewing MANY clothes for myself and dreamed of the day I would sew for my children. I have three boys and now a girl...the boys are not as fun to sew for...but I do plan to pass on the skill to our Emma. I am sure we will enjoy using a site like the one you recommend here. I wouldn't worry too much about it though, it does seem that there are "seasons" for different activities. Perhaps you simply aren't in the "sewing season" right now. Camille~ Hey there! Hope you had a fabulous trip! Yes... we have been spending time getting ready to go, but so far I've been able to do a little each day~ it hasn't been too bad. If you think of it, you could pray though,... the volcanic eruption is canceling lots of flights. London's Heathrow airport has been closed for days at a time. We are scheduled to leave Wednesday~ so we are praying that flights will be going through then! Can't wait to show this to my girls! Thanks! Hope all your planning and preparing is going well! I will be praying for safety and fun.